The former Archbishop of Westminster and Patron of the Family Holiday Association, Cardinal Cormac Murphy-O’Connor, has died at the age of 85. Cardinal Murphy-O’Connor, who died on Friday at 15:35 BST, had cancer. He had been seriously ill in hospital since his health took a “defining turn” in August. 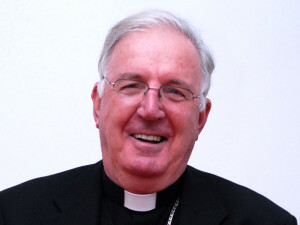 Cardinal Murphy-O’Connor became the 10th Archbishop of Westminster in March 2000 and therefore the leader of the Roman Catholic Church in England and Wales. He retired from the role in 2009 and was the first archbishop to do so. Born on 24 August 1932 in Reading, Berkshire, Cardinal Murphy-O’Connor was one of six children. Two of his brothers became priests while another played rugby for Ireland. He was ordained priest in Rome in October 1956 and was made Cardinal in 2001 by Pope John Paul II. Cardinal Murphy-O’Connor became a Patron of the Family Holiday Association at the request of Lady Mary Mumford, 15th Lady Herries of Terregles, who also sadly passed away earlier in the year. Lady Mary was President and latterly Life President of the charity.